1. Outside Central Region best performing in March 2019. 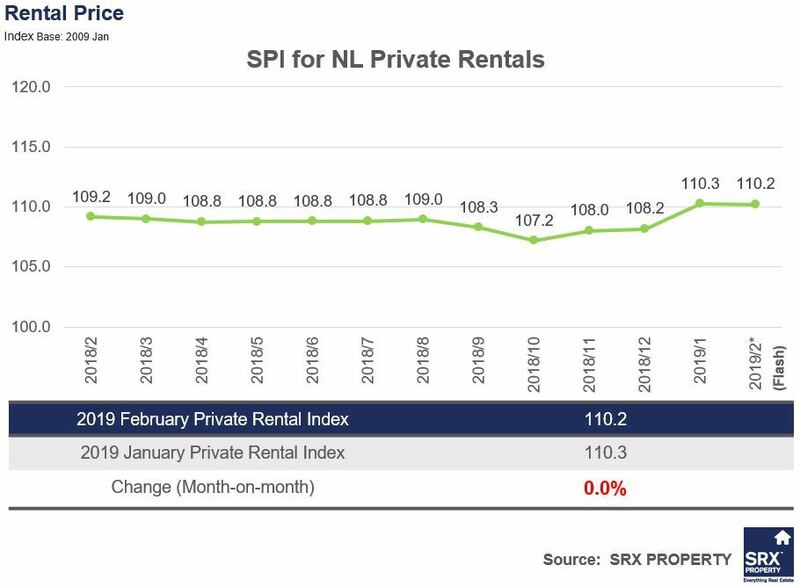 Compared to February 2019, OCR increased by 1.3%, while CCR prices decreased by 2.1% and RCR prices were unchanged. 2. 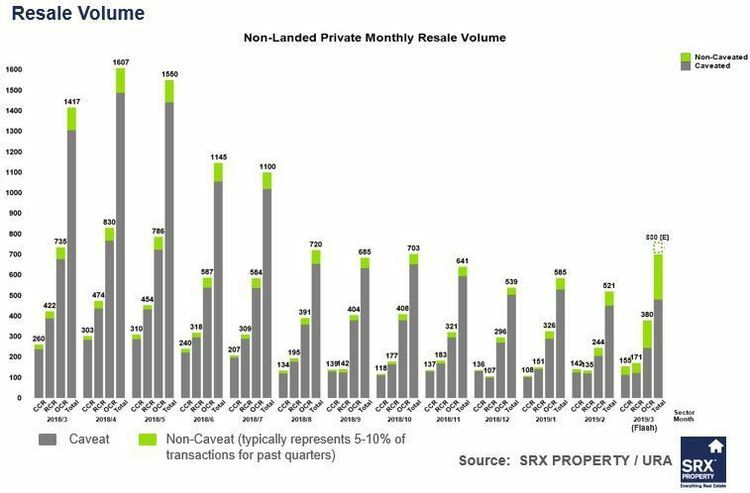 Non-Landed Private Residential resale volume increased substantially. 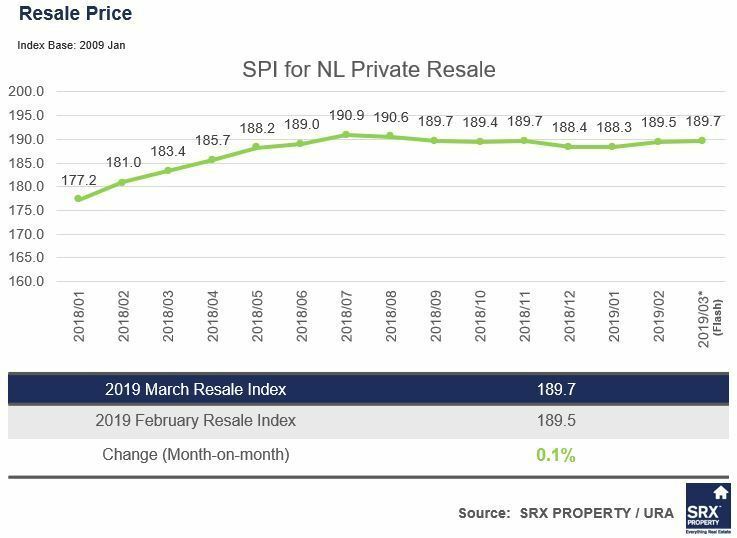 An estimated 830 Non-Landed Private Residential resale units were transacted in March 2019, representing a 59.3% increase from the 521 units resold in February 2019. However, March 2019 resale volumes were 41.4% lower than the 1,417 units transacted in March 2018. 3. 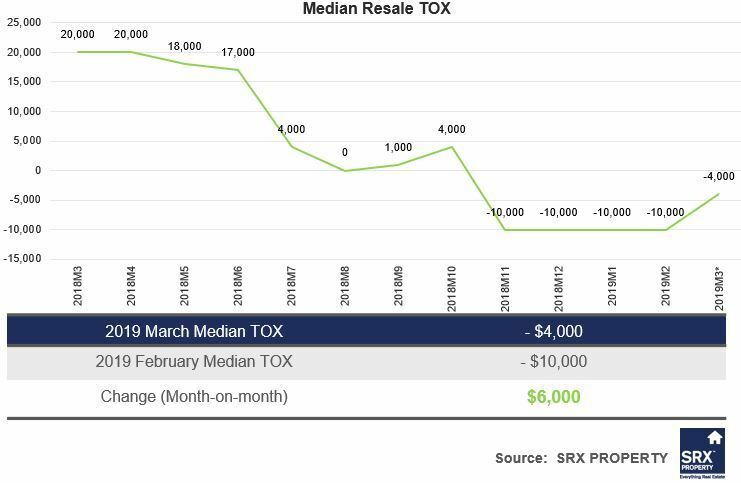 Overall median Transaction Over X-Value (T-O-X) is NEGATIVE $4,000 in March 2019, an increase of $6,000 from the NEGATIVE $10,000 recorded in the preceding month. 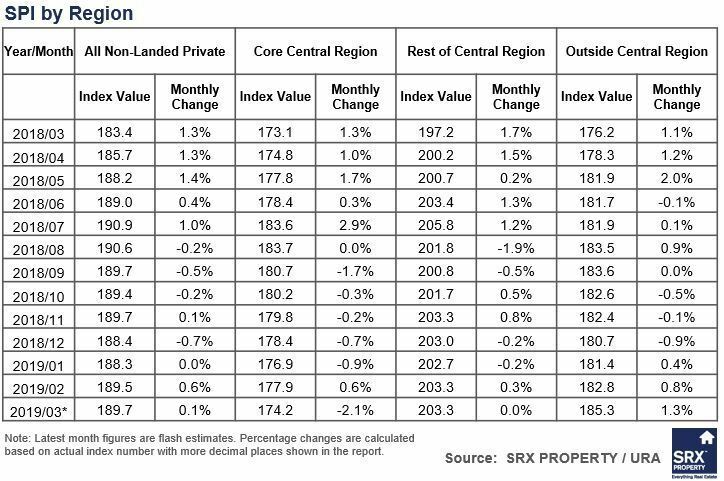 The median T-O-X for Non-Landed Private Residential measures whether people are overpaying (POSITIVE T-O-X) or underpaying (NEGATIVE T-O-X) the SRX Property X-Value estimated market value. 4. 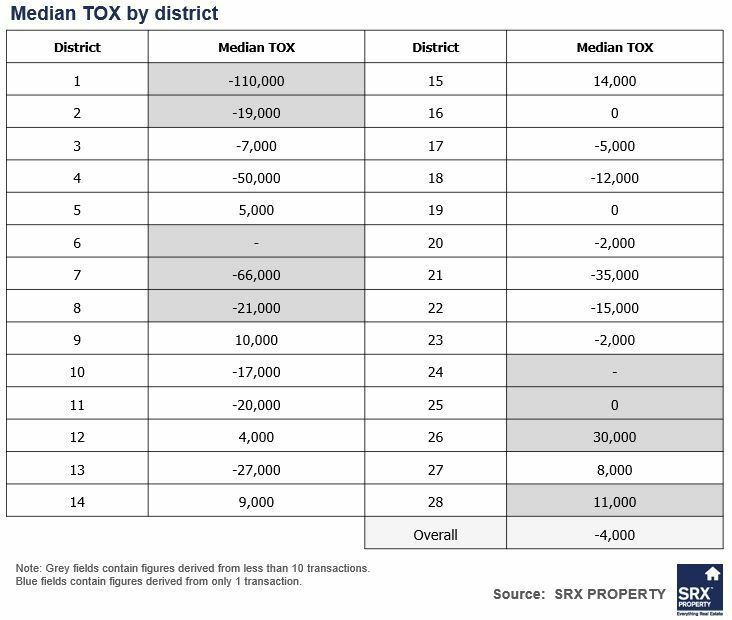 District 15 (Katong, Joo Chiat, Amber Road) posted the highest median T-O-X at POSITIVE $14,000, followed by District 9 (Orchard, Cairnhill, River Valley) at POSITIVE $10,000 (for districts having more than 10 resale transactions in March 2019). 5. 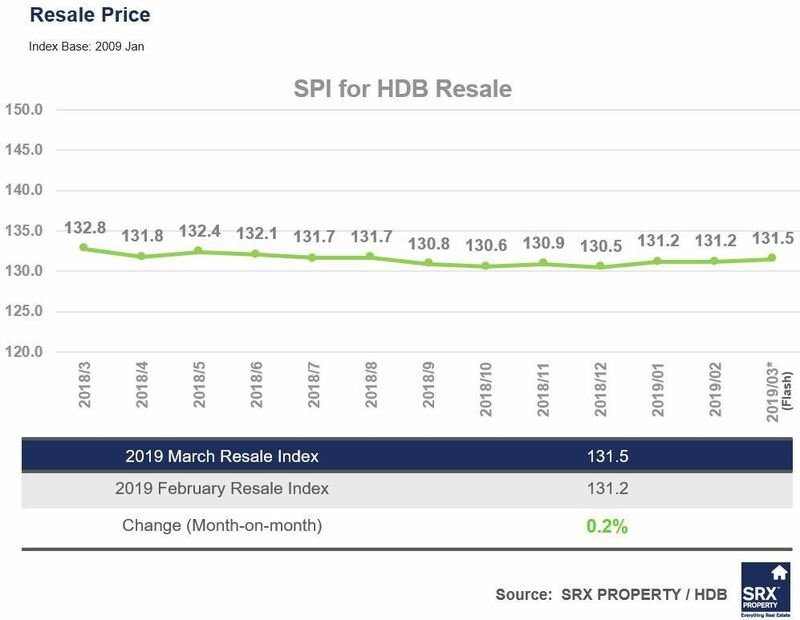 District 4 (Telok Blangah, Harbourfront) posted the lowest median T-O-X at NEGATIVE $50,000, followed by District 21 (Upper Bukit Timah, Ulu Pandan) at NEGATIVE $35,000 (for districts having more than 10 resale transactions in March 2019).